Ada Twyford, Countess of Lauderdale (d. 1931), née Simpson. Sitter: Ada Twyford, Countess of Lauderdale (d. 1931), n�e Simpson. 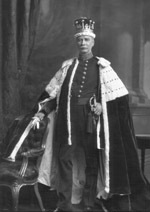 Biog: m. (1883) 13th Earl of Lauderdale. 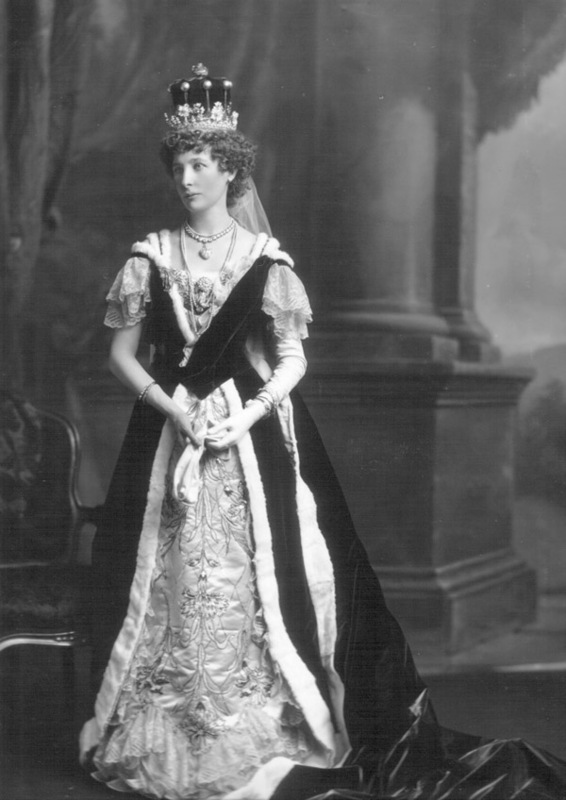 Costume Supplier: Mrs Shelvey, 54 Grosvenor Street, London, W.
Biog: Burke's Peerage; The Complete Peerage. Costume: The Standard, 11 August 1902, p. 7g; The Times, 11 August 1902, p. 15c; The Court Journal, 16 August 1902, p 14; The Queen, 16 August 1902, pp. 256-257. Costume Supplier: The Court Journal, 16 August 1902, p. 24.